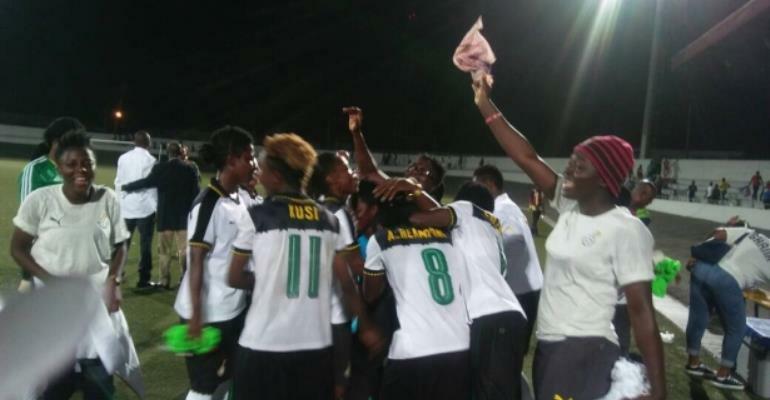 The Black Queens of Ghana are through to the final of the maiden WAFU Zone B women's tournament after edging out rivals, Nigeria 5-4 on penalties. The epoch semi-final game played at the Parc de Sports easily passed for the grand finale as the elements of rivalry between these two football giants were on full display. Nigeria took an early lead in the eighth minute through Alice Ogebe but Faustina Ampah cancelled that lead in the 18th minute. Goalkeeper Patricia Mantey made two brave saves of Nigeria's kicks - their first and last, while hardworking Grace Asantewaa was unfortunate to have her kick saved. Ghana will now play the final against hosts, Cote d'Ivoire on Saturday, in what will be a replay of their Group A opening clash.